If you've been wading through the sea of tools that claim to measure exactly how your social media campaigns are benefitting your business's bottom line, Google is betting it has the solution you've been looking for. • Identify the value of traffic coming from social sites and measure how they lead to direct conversions or assist in future conversions. • Understand social activities happening both on and off of your site to help you optimize user engagement and increase social key performance indicators (KPIs). • Make better, more efficient data-driven decisions in your social media marketing programs. The reports allow you to define a specific goal to measure -- such as visits to your site that result in purchases -- and then offer analysis on how social media is affecting those goals. For instance, the "Conversion Report" shows conversion rates of each social network and the monetary value they drive to your business, Google says. In other words, it can help measure which social media network is most valuable to your business. Another report, called "Social Sources," shows how people are interacting with your content on social media sites and whether that engagement is turning up the results you're after. For example, if you promote specific products over social media, Google says the report can show whether visitors from each network entered your site through these product pages and if they continued on to other pages on your site. This type of information can help you craft more engaging social media messages. Google's "Social Plugin" report can show which posts get the most traction. Ideally, this can help you decide how to tailor future content around topics that are resonating best with your followers. 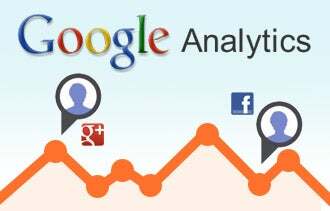 Will you use Google's new social media analytics to measure the ROI of your campaigns? Let us know in the comments section below.